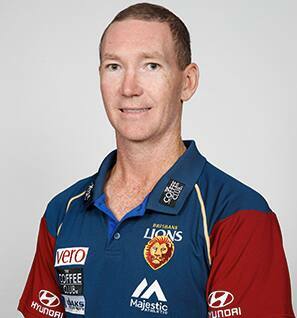 Murray Davis was appointed to the role of Assistant Coach at the Brisbane Lions in October 2011, fresh from steering the Northern Territory Thunder to the NEAFL Premiership. Davis enjoyed an outstanding season as Senior Coach of the NT Thunder in 2011 that saw him guide his team to the inaugural NEAFL title after taking out the Northern Conference premiership one week earlier. He had previously spent time as the Thunder’s High Performance Manager in 2009 before being elevated to Senior Coach in 2010, and also spent four seasons as Vice-Captain at local Queensland side the Zillmere Eagles between 2001 and 2004. His coaching credentials also include being Queensland State Assistant Coach in 2010, and Senior Coach of Zillmere in 2006 - the same year he was awarded Queensland Coach of the Year. But after returning home to Queensland in 2011, he embarked on his first coaching role within the senior AFL ranks and has since been largely responsible for the functioning of the Lions’ backline. In the 2015 season, Davis assumed the role of Transition Strategy Coach and when new Senior Coach Chris Fagan was appointed at the end of the 2016 season, Davis became the Club’s backline coach.